Ainsley Connor is adjusting to pack life in Tarker's Hollow. With her mate by her side, she feels unbeatable. But warnings of dark magic and signs of a rival wolf make it clear that Ainsley will need all the help she can get. Julian Magie is the warlock that betrayed Ainsley and broke her heart. He also happens to be the only man with the knowledge she needs to master the magic inside her - if she can learn to trust him again. 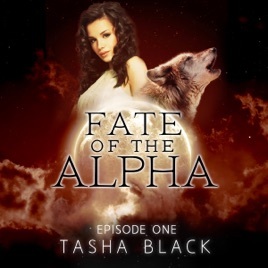 Filled with mystery and magic, Fate of the Alpha picks up six weeks after the events of Curse of the Alpha. It is a stand-alone saga, told in three parts. Episodes One and Two have some serious cliffhangers! So if that's not your thing, consider yourself warned!